Music is a cycle that evolves constantly. For some musicians and artists, adapting is a process that can be tedious but for others a feeling of excitement rushes through their blood. Having creative control, and the ability to experiment with many different sounds is something this 5 foot something R&B artist from Philadelphia has been practicing and doing nothing short of a great job in understanding the science of her sound. 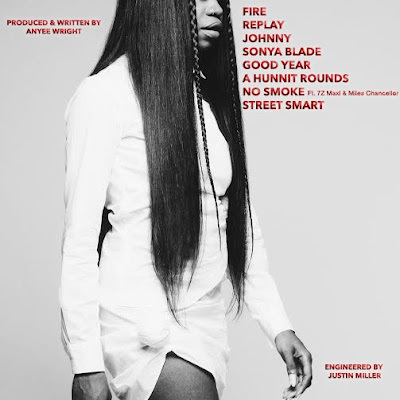 Anyee Wright has been releasing material both audio and visually for quite some time. Many may be familiar with her previous work, songs like Say Yeah, RWAGLM, and featuring on With If, Aynee is far from a rookie. 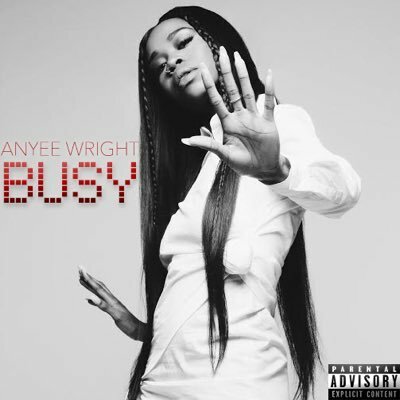 On July 22, 2016 Anyee released her latest project Busy, and it is a body of work both generation Y and the Millennium babies can appreciate. You can tell she really worked hard developing the sound and lyrical content for this EP. With songs like (replay, A Hunnit Rounds, and No Smoke) you can hear the influence of the 90’s swing mixed with today’s rhythmic flow. Now as you know every coin has two sides, and even though Anyee most of the time is smiling and enjoying her friends especially at shows, she is far from sweet (a sucker) and she expresses that on this project, encouraging female listeners to watch their surroundings at all time too. So if you are with your “hitta’s” and want to vibe out, definitely check out this eight track EP.